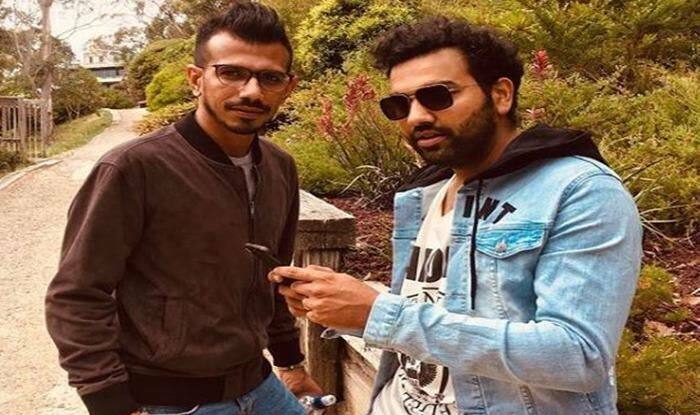 Rohit's latest Instagram post was bombed by none other than spinner Yuzvendra Chahal, who is known to share a great on and off-field camaraderie with the Team India opener. India vs New Zealand 2019: Presently on the New Zealand tour, the members of Indian cricket team are enjoying some time off after completing the demolition job against the hosts in the recently-concluded five-match ODI series. After a minor hiccup in Hamilton, stand-in captain Rohit Sharma and Co. bounced back in style to beat the Black Caps by 35 runs in the final encounter to win the series 4-1. Away from the challenges of international routine, Rohit went to spend some alone time in the picturesque destination of Wellington. Sharing his relaxed state of mind with his fans and followers, Rohit took to his official Instagram handle to explain about his mood through a recent post which read, “Nothing better than connecting with nature on a rest day! #WellingtonOnPoint”. However, Rohit’s post was bombed by none other than Team India spinner Yuzvendra Chahal, who is known to share a great on and off-field camaraderie with the former. 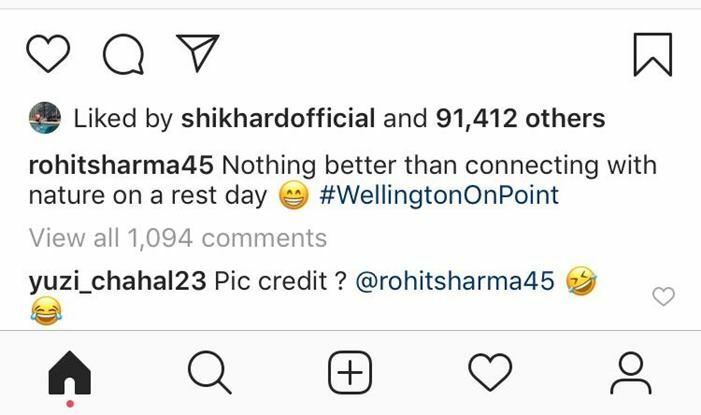 Chahal came up with the wittiest of the reply’s on Rohit’s post as he wrote, “Picture Credits – @rohitsharma”. Chahal was the pick of the bowlers for the tourists in the last ODI as he claimed three wickets for 41 runs to restrict the Kiwi batsmen. On the other side, Rohit expressed his happiness after Team India’s hard-fought win in Wellington as he lauded the effort of his teammates after the tough Hamilton loss. India suffered a heavy defeat in the fourth ODI after they were dismissed for just 92 runs but the visiting side bounced back in the fifth match on Sunday to score 252 before winning by 35 runs. “After we lost four wickets, all we needed was somebody to show application. Rayudu and Vijay Shankar did that. The partnership between them turned the game for us and the way Hardik and Kedar played, in the end, was magnificent. We showed a lot of character,” said Rohit.